The United Arab Emirates will set up shelters for victims of human trafficking, a regional problem highlighted by the United States and international rights groups, the local press reported on Wednesday. The centers will provide shelter, health care and social support to women and child victims and will operate under the umbrella of the UAE Red Crescent Authority, the English-language Gulf News said. "(The UAE) strongly supports international efforts to fight human trafficking," Deputy Prime Minister Sheikh Hamdan bin Zayed al-Nahayan and Red Crescent Authority chairman was quoted as saying. 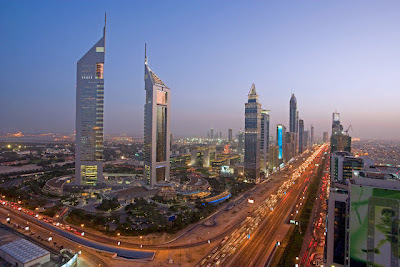 In 2006, the oil-rich UAE introduced stiff penalties including life sentences to combat human trafficking. In July 2007, two Indian nationals were jailed for 15 years in the first punishment under the legislation aimed at cleaning up the Gulf state's human rights record.